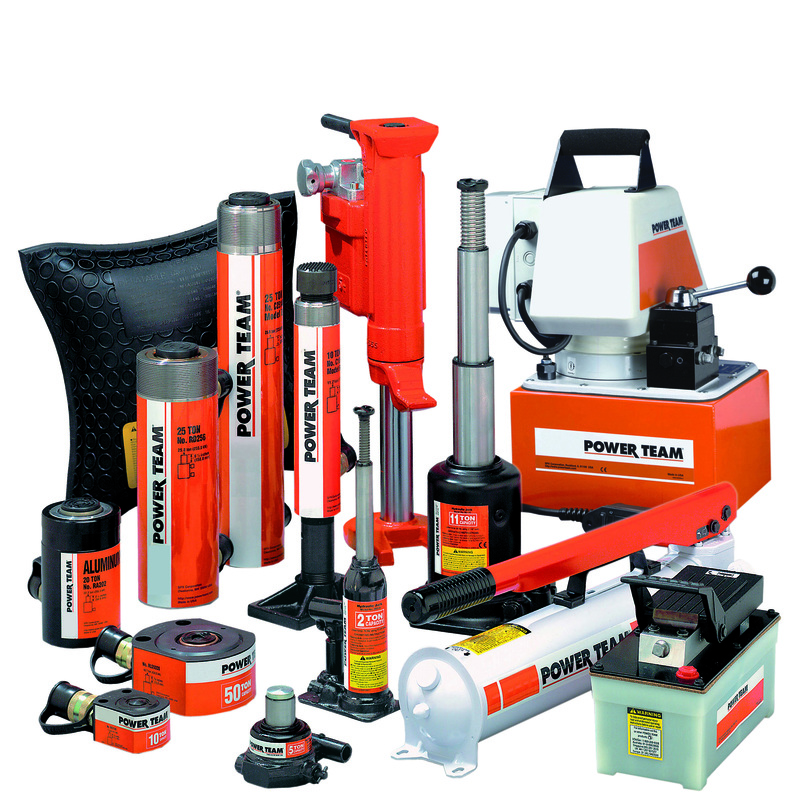 SPX Power Team is a leading high force hydraulic power equipment and tools manufacturer. 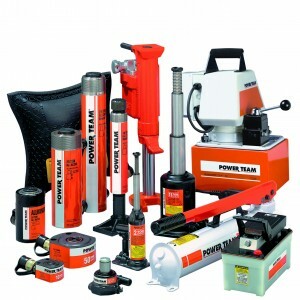 From hydraulic pumps, cylinders, inflatable jacks, torque wrenches and valves to clamping components and hydraulic accessories, SPX Power Team’s high-force tools and equipment are used wherever strong, concentrated force is required ― on construction sites, in power plants, on rail lines, in shipyards, in mining operations, quarrying, rigging and marine projects. 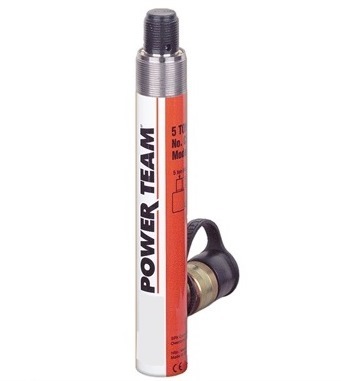 Neilson Hydraulics is a sales partner for SPX Power Team and distributes SPX Power Team’s core range of Hydraulic Cylinders, Hydraulic Pumps and Mini Jacks. It is essential that you select the hydraulic cylinder that best suits the application. Neilson Hydraulics supply a range of SPX Power Team cylinders to meet your application needs. SPX Power Team General Purpose Cylinders: C Series (5-100 Tons – General Purpose, Single Acting, Spring Return) are rugged, high quality cylinders that are used for lifting and pressing. SPX Power Team Threaded End Cylinders: CBT Series (5-25 Tons – Single Acting, Spring Return) the threaded piston rod end and base threads accommodate accessories and adapters. 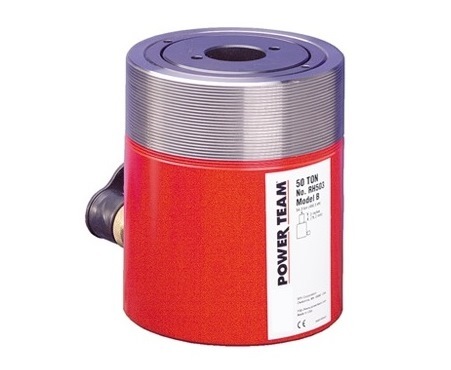 SPX Power Team Low Profile Cylinders: RLS Series (5-150 Ton – Single Acting, Spring Return) are ideal for confined areas from 41 to 101,6 mm clearance. 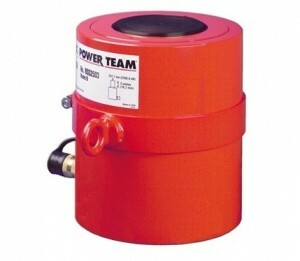 SPX Power Team Shorty Cylinders: RSS Series (10-250 Ton – Single Acting, Spring Return & Double Acting) are ideal for confined area from 89 to 290,5 mm clearance. 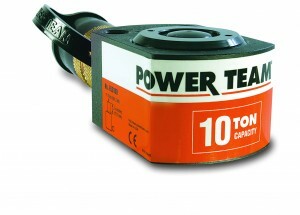 SPX Power Team Center Hole Cylinders: RH Series (10-100 Ton – Single Acting, Spring Return) is ideal for pulling and the tensioning of cables, anchor bolts and forcing screws etc. Neilson Hydraulics distributes SPX Power Team core range of Hydraulic Pumps. 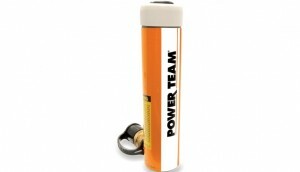 SPX Power Team Air Pumps are used where air is the preferred energy source or where electricity is not available. 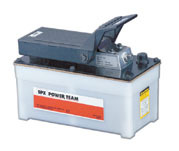 Ideal for use in petrochemical mines or other inflammable or explosive environments. The SPX Power Team Air Pump PA6 Series (Single Acting) is compact, lightweight and portable. The Single Speed pumps designed to drive single-acting cylinders. 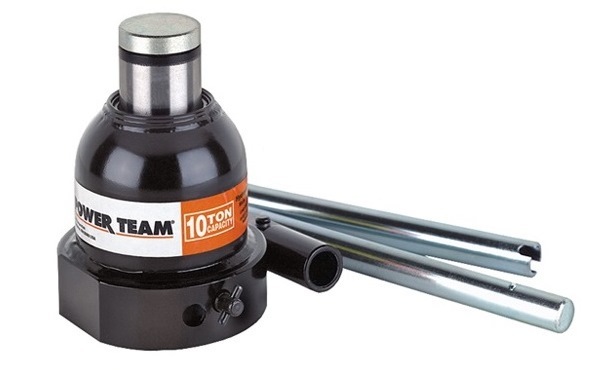 SPX Power Team P19, P59, P59F, P159 – These two speed pumps are used with single acting cylinders. 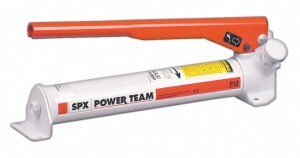 SPX Power Team P159D – These two speed pumps are used with double acting cylinders. Neilson Hydraulics also supplies SPX Power Team Electric / Hydraulic Pumps, SPX Electric Hydraulic Pumps and SPX Power Team Cylinders & Pump Sets. SPX Power Team’s Mini Jacks are the perfect addition to any toolbox and have multiple functions. SPX Power Team Sidewinder Jacks: Mini Jacks (5-20 Ton) – the Compact Sidewinder Mini Jack fits in your palm and delivers 5, 10 & 20 Tons of lifting force. This entry was posted on August 12, 2014 at 10:32 am. You can follow any responses to this entry through the RSS 2.0 feed. You can leave a response, or trackback from your own site.